Some of the world’s most exciting chefs, including Vivek Singh and Anjali Pathak, are heading to SA for the Durban Good Food & Wine Show, which takes place from August 8 to 11. Also appearing at the show is well-known British chef and TV favourite James Martin, SA’s own Jennie Morris (pictured, left) and the delightful Ms Cupcake, famed in the UK for her vegan cupcakes. grandfather Lakshmishankar. With qualifications from Prue Leith as well as those in diet and nutrition, she’s determined to show the world that Indian food is not simply about curries and that, contrary to belief, it can be light and healthy. James Martin will be offering visitors to the Durban Good Food & Wine Show some tasty new dishes he has conjured up especially for the event, as well as some of the dishes that will be featured in his new restaurants. 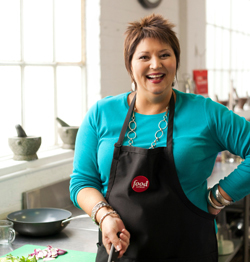 “I will be using new ingredients and working them in with the good meat you have in South Africa. I’ll also be showing some new cooking techniques,” says James. 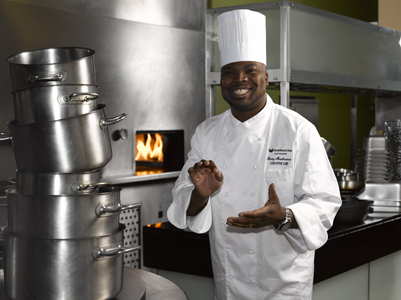 Good Food & Wine Show Durban takes from from 8 to 11 August at the Durban Exhibition Centre. Tickets cost R75 for adults for R40 for children, including more free theatres than ever before. Visitors will also receive a coupon book including massive savings and specials.